McGuinness in shock switch to Norton for TT 2018? Isle of Man TT legend John McGuinness is rumoured to be on the verge of signing for Norton after being dumped by Honda Racing for the 2018 festival. 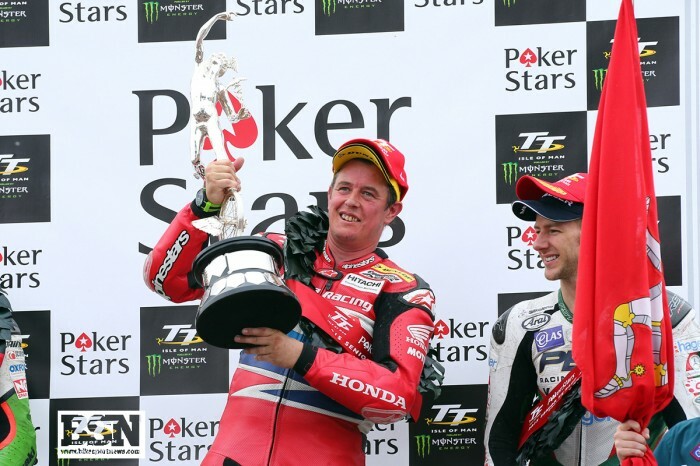 It it thought the Morecambe man still wants to compete in the Superbike classes on the island this year but had to make way for Ian Hutchinson and Lee Johnston in the works Honda team of which he has been a part for many years. Norton have yet to make any announcements about their line-up - which featured Josh Brookes and David Johnson last year - but it is thought that Johnson is looking elsewhere for a bike on which he can return to the 131mph club.. It is believed McGuinness, who is still recovering from a massive crash at last year’s North West 200, had been due to sign the deal this week but, erm, didn’t. BSN has attempted to contact Norton boss Stuart Garner but with no success.